Make the Pacific razor clam Washington’s state clam! A BILL HAS BEEN INTRODUCED IN THE CURRENT LEGISLATIVE SESSION, HB 1061. PLEASE LET BY YOUR LEGISLATORS KNOW YOU SUPPORT THE BILL HERE AND BY SIGNING THE PETITION ON THIS SITE. The bill is bipartisan, sponsored by Rep. Brian Blake (D) and Rep. Jim Walsh (R). Our initiative is to designate the Pacific razor clam as the state clam. It well deserves such recognition and honor. Please join our effort by signing the petition on this website and being in touch. Here is a link to the info about the bill on the state legislative site, and here is the bill itself. The bill, House Bill 1061, passed the house unanimously on March 7 and is now in committee in the Senate. The razor clam has long been important in Washington State as a source of food, income and recreational adventure. 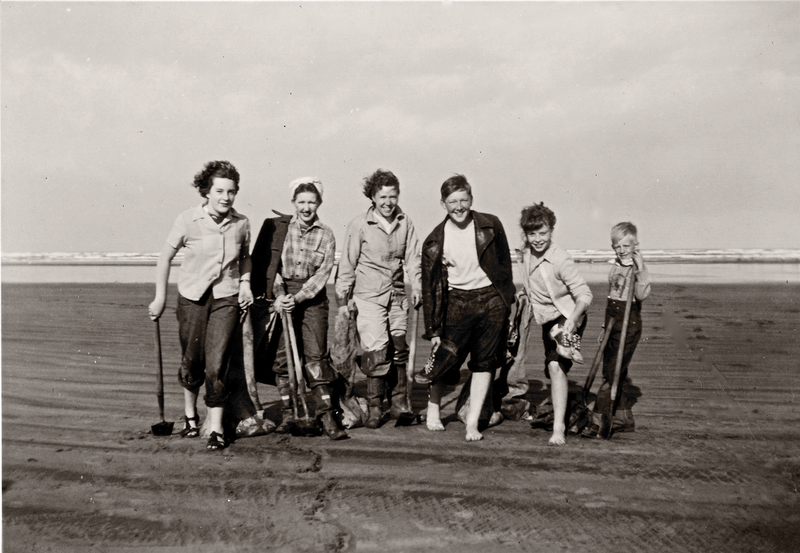 Digging for razor clams is a fun, nature-oriented activity that attracts men, women and children of all ages. In recent years there have been about 400,000 recreational digger trips annually. A lot of folks! Pacific razor clams are endemic to the Pacific Northwest and especially abundant on Washington’s coastal beaches. They have been part of the culture of coastal Native American tribes from time immemorial. Washington has a variety of state symbols, such as a state bird, state song, state flower and state amphibian. One other state in the union has a clam species as a state symbol, Rhode Island (quahaugs). 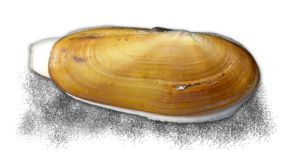 In recognition of the razor clams’ significance to Washington’s history, identity and economy, and to further steward and educate, this initiative proposes to recognize the Pacific razor clam, Siliqua patula, as the state clam. See story in the Aberdeen Daily World. 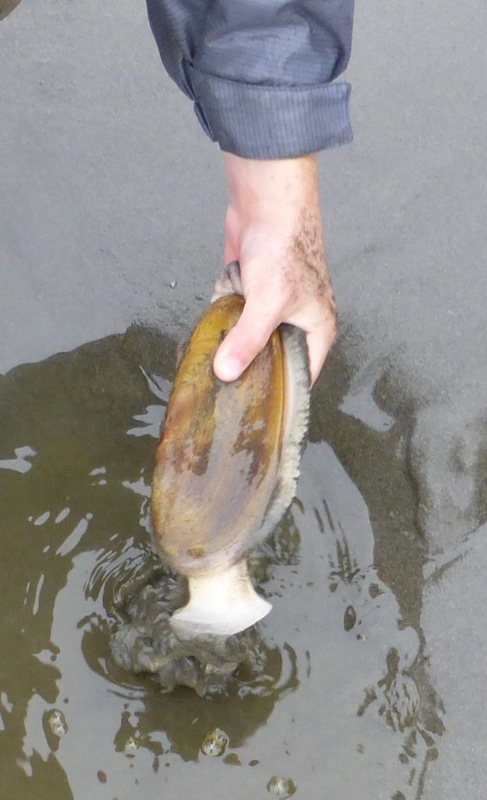 We welcome feedback on our efforts to make the Razor clam the state clam. A good-sized razor clam just removed from the sand. Photo credit David Berger.